The goal of reducing recurrence after surgery for Crohn’s disease is a challenging one. 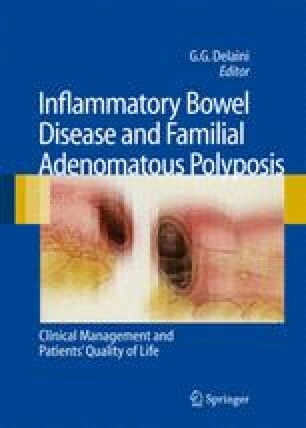 Despite numerous studies, we do not have conclusive evidence of predictors of recurrence; however, data on the risks associated with smoking, particularly in females, have accumulated and it is appropriate to advise patients that smoking increases the risk not only of developing Crohn’s disease but also of disease recurrence. Recent studies suggest that 5-ASA confers only a small benefit at doses between 2.4 and 3 g/day in patients undergoing ileocolic resection; the long-term role of this drug is uncertain. The oral steroid budesonide shows some promise in preventing the development of new lesions. Its side-effect profile makes it a candidate for further study but, as yet, there is no firm evidence of its worth in standard preventive management regimens. We feel that RCTs need to be conducted to examine the role of immunomodulator therapy. The limited data available suggests a small therapeutic benefit for this class of drug and further studies are required to validate this.